Summer is a wonderful time to be out and about for your pets and here’s some summer safety tips for your pets, when the temperature rises. 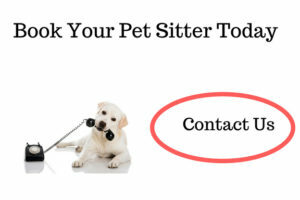 These can include excessive panting and difficulty breathing. Pets with flat faces, like Pugs and Persian cats, are extremely susceptible to overheating as they struggle to pant effectively, so these types of dogs and the elderly should be kept cool whenever possible. Always ensure that water bowls are topped up with fresh clean water and hutches are either brought in out of the hot sun or moved to the shade. Do not leave pets unsupervised around a swimming pool – contrary to popular belief, not all dogs are good swimmers and do not forget to remove the chlorine/salt from their fur, so rinse well after a swim. Just like us, dogs and cats require protection too and sunscreen is especially important for dogs/cats with white/thin fur. Pet owners should remember to avoid any sunscreen that contains para-aminobenzoic acid (PABA), since this can be toxic if ingested. Quite simply, never use sunscreen with zinc oxide on your pet. If you are unsure what products to use, please contact your vets who will be only too happy to advise. Have you ever sat inside your vehicle on a summer day in the searing heat, with the windows and doors closed? Try it! I doubt you will last for five minutes with feeling unwell, so PLEASE do not leave your dogs to swelter. Dogs should never be walked in hot temperatures, so avoid the hottest times of the day. Make sure your walks are done in shaded areas and take plenty of water with you. Don’t forget that even the UK has snakes, most of which are harmless. However, Adders are poisonous and should be avoided where possible. Adders are primarily found in heathland, dune grasslands and other naturally grassy areas, so do not allow your dog off leash in these areas. Try to keep to designated trails and if your dog does get bitten, seek immediate veterinary attention. Ticks are a common problem during the warm summer months, so check your dog regularly, especially when walking through wooded areas. A good groom following walks, checking for any lumps and bumps. If one is found, they can be a bit tricky to remove, so twisting them off with a tick remover should do the trick, making sure that its head does not get stuck to your dog. If you are unsure, contact your vet for advice. When the sun is at its hottest, surfaces such as sand and paving get extremely hot. Not can it only burn your pet’s paws, it can also increase body temperature. If it is too hot for bare feet, it is also too hot for your pet’s paws. 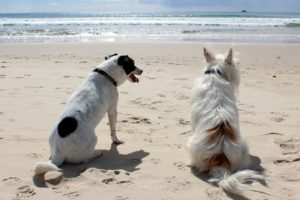 Hopefully, these tips will help both you and your pets to stay safe and enjoyable summer.